Aromas of spices and sandalwood developing from long aging in oak barrels. Palate reveas notes of cigar box and a lingering honey finish. 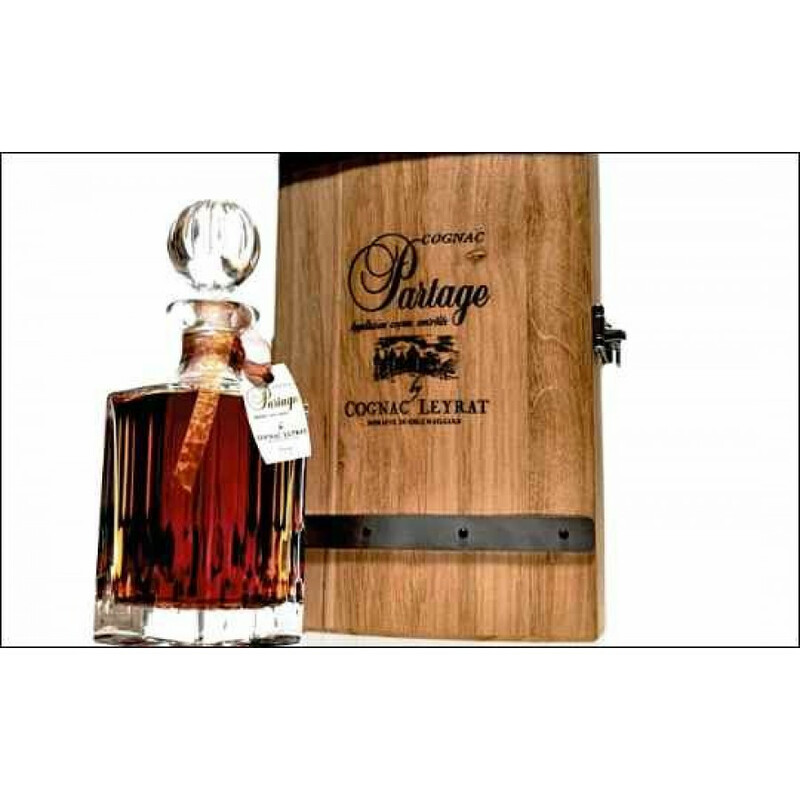 The Leyrat Partage Cognac is truly something special. The latest from the domaine of Francis Abecassis, this limited edition has been created from a blend of very old hors d'age eaux-de-vie. Only 52 decanters have been produced - the first that was offered by Leyrat Cognac to the annual charity auction, "Les Part de Anges". Each crystal decanter is encased in an oak chest that represents the casks used for aging the cognac. Cellar Master, Christian Guerin, says that his creation embodies aromas of spices and sandalwood that have developed from the extensive period within oak barrels. As one would expect of a cognac of this age and quality, the palate takes the taster on a senory journey, culminating in a delightful, and ultimately satisfying, lingering finish. One for the connoiseur and/or cognac collector.